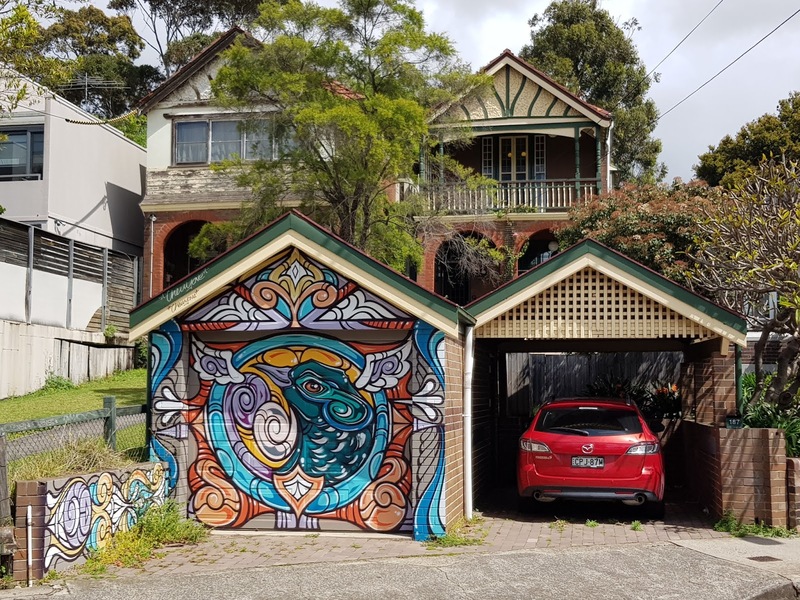 This mural is on a garage in front of a house, along Trafalgar Street, in the inner city suburb of Stanmore. This artwork seems to be the work of graffiti artist Phibs, who has his works on a number of buildings in the area such as this. Great --I love the way the design fills all the spaces. Very colourful garage door. He's also painted some murals in Perth. The artist of this mural is most talented. I do like his style. Have you heard of Banksy who is an anonymous England-based street artist? Yes I have, reeahc. He has been responsible for a few artworks around Australia too.